Whether you want to lift your truck using your stock wheels or you want to add a set of off road monsters, MaxTrac 6.5" basic lift kits add the extra clearance and look you're trying to achieve! 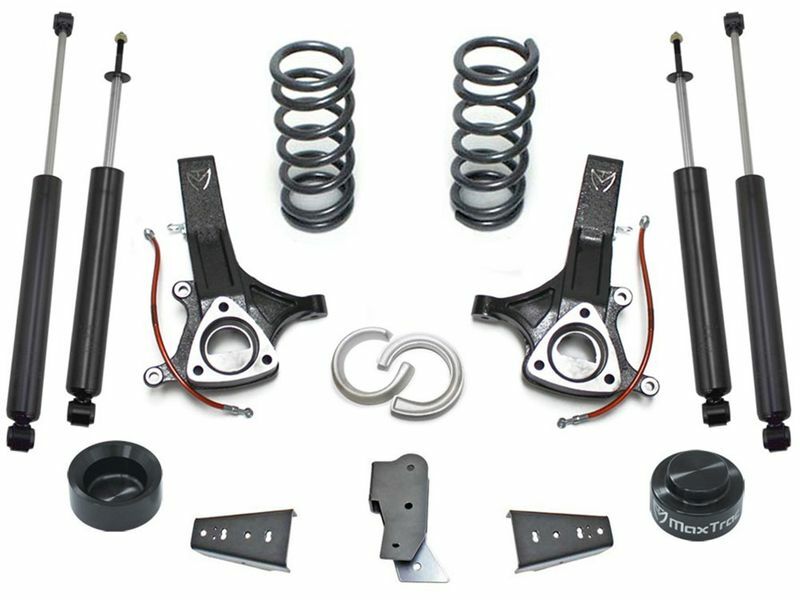 Lift your truck right and order a high quality MaxTrac 6.5" basic lift kit today! All components come backed by a limited lifetime warranty against defects in material and workmanship.